Best Case Scenario: Curtis Axel actually looks like he deserved to be Intercontinental Champion for the past few months, but the rising star of Big E. burns just a little too brightly for Curtis to overcome. Also, Big E. makes the ref count to five. That would be awesome. Although the crowd was the drizzling shits for this match, the performances were every bit as good as I had hoped. Big E. is a super duper star in the making, even if his post-match “I’m pandering to you” pander promo fell a little flat. Curtis Axel never really looked like he had a chance in this match, but he looked as good — if not better — than he looked the entire time he held the belt. 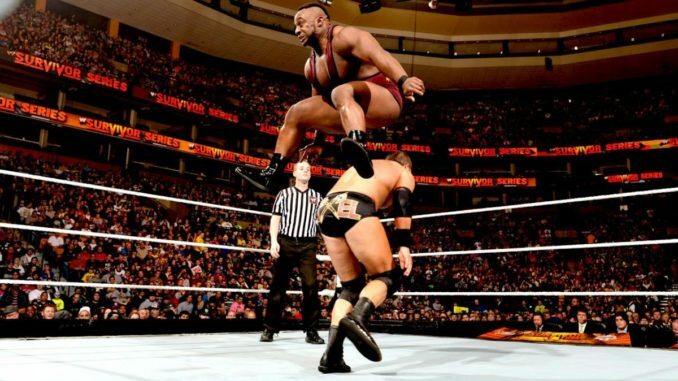 Just being able to stay in the ring with someone like Big E. and not look like a scared little boy as 290 pounds flies all around the ring at you is an underrated skill, one that Curtis Axel did a yeoman’s job of projecting. That he got in most of his offense, and even a Perfectplex, means while they may not think he’s Intercontinental Title material, they definitely think he has a future. Not a masterpiece, but everything it needed to be and a little more.